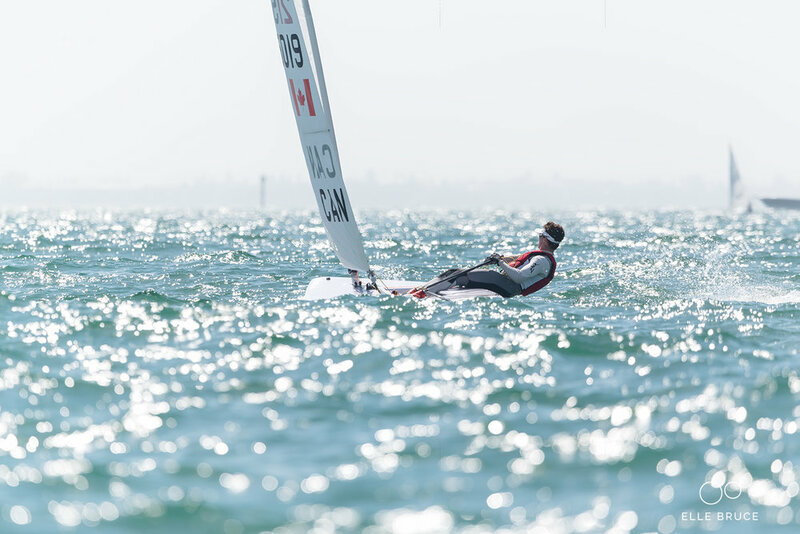 Over Reading Week I continued the longstanding tradition of going down to Clearwater, Florida for the Laser Midwinter East Championships. Overall I had a really positive event finishing in 11th place, my best finish ever by a significant margin. I improved on my finish of 24th (24/45) last year; however, the fleet was stronger last year. I had great starts all regatta and had the opportunity to duke it out at the front of the pack on numerous occasions. I had multiple top 5 finishes and feel with some better consistency in game planning and speed I could have moved up the tight leaderboard. I leave this regatta with a great motivation to improve my fitness over the next couple of months in the gym and prepare myself for my next event, the Senior European Championships in May. In the lead coming into the second windward mark - crossing just behind me on port is Chris Barnard (USA 210780) US Sailing Team member and winner of the regatta. A link to results can be found below, shoutout to my mom for taking some great pics! 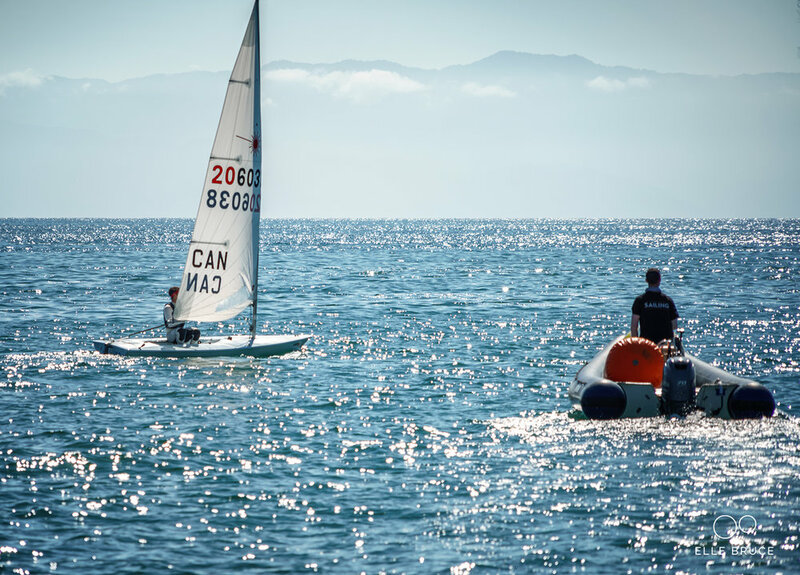 Leeward mark rounding (new sail number 215019) with fellow Canadian and 2016 Canadian Olympian Lee Parkhill (sail number 208869). 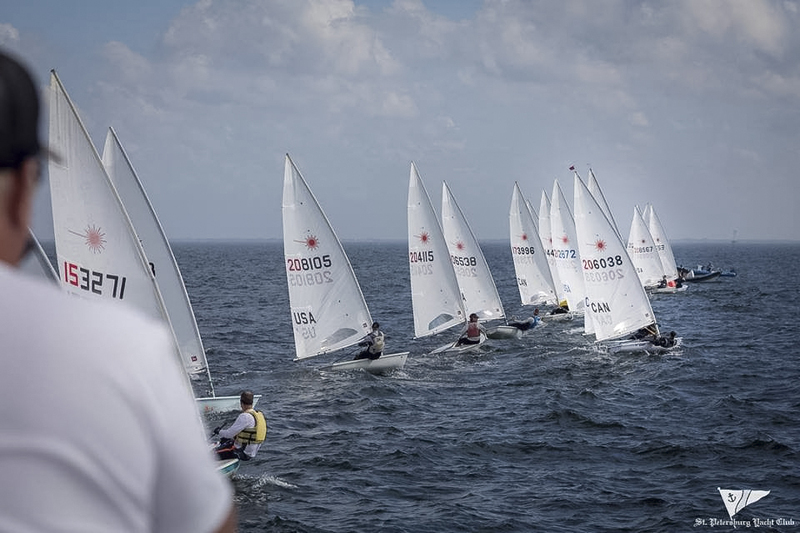 Lauderdale OCR and US nationals was a very competitive event this year in the lead up to Sailing World Cup Miami. Additionally, it was the Canadian qualifier for the Pan-Am Games. This means that the top finishing Canadian would go to Lima, Peru this summer and represent Canada. 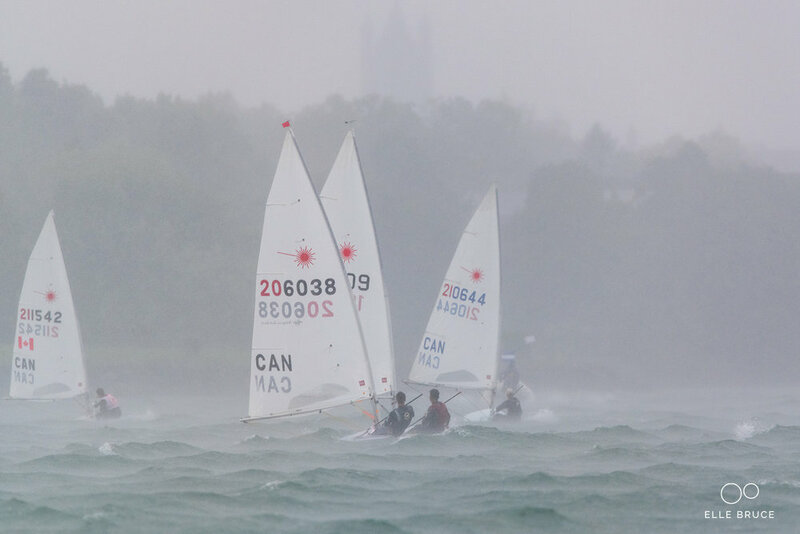 This brought an added pressure to the event and 15 Canadian sailors. 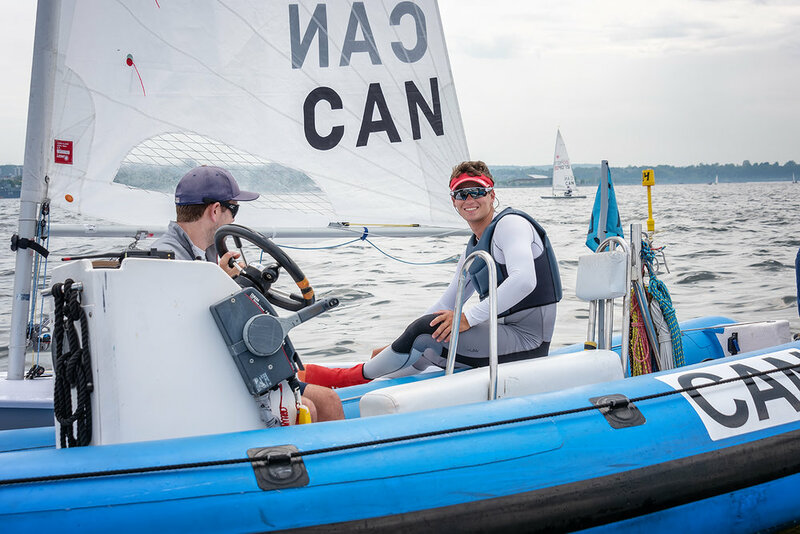 I was proud of my consistency throughout the regatta however every time I was in a good position to finish well I would make a mistake that was easily capitalized on by the strong sailors around me. I finished 26th out of 54 sailors, improving on my 36th place finish from last year and 4th junior (under 21). 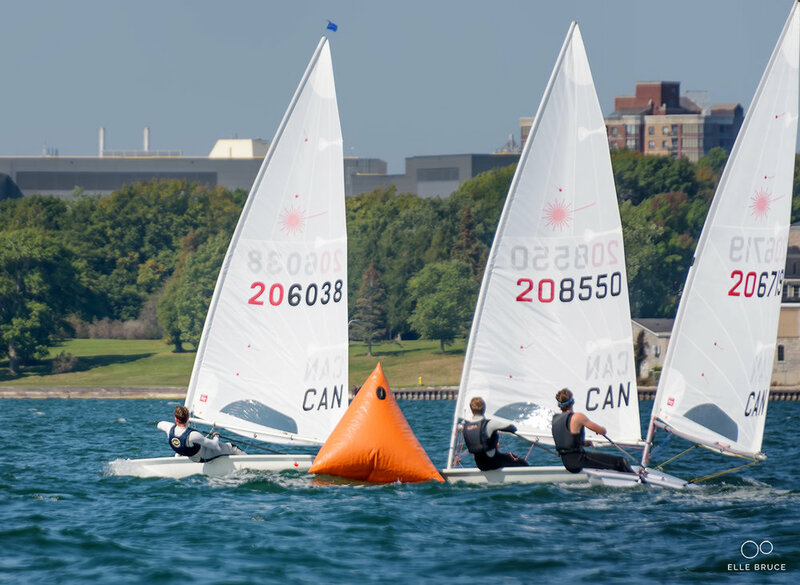 I think my big takeaways from this regatta have to do with simplifying my decision making when around more experienced sailors. Instead of trying to outsmart them I need to stay with them and trust my own speed and my ability to not to make boat handling mistakes. 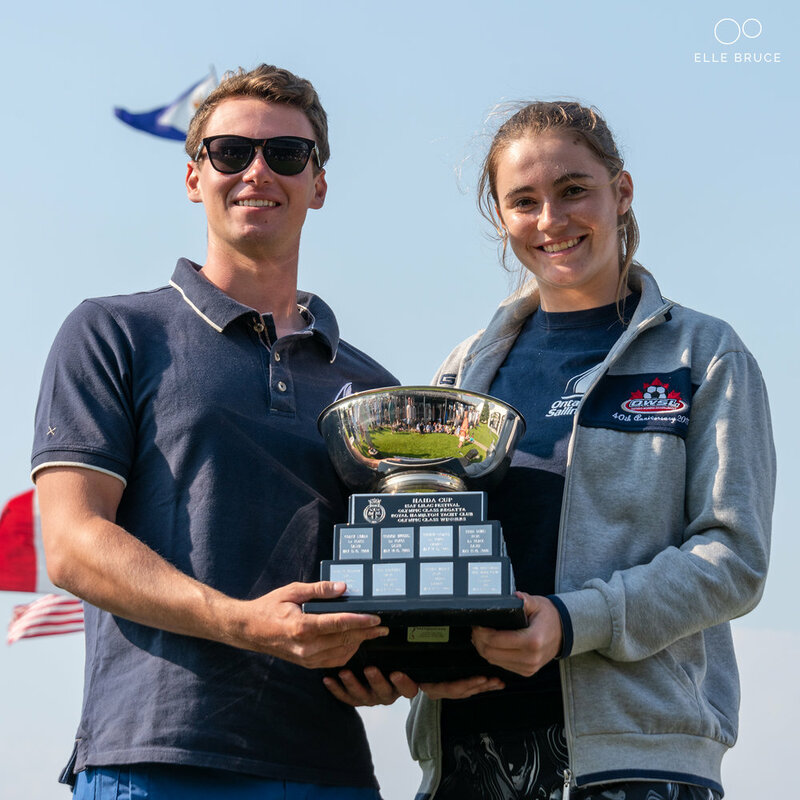 Congratulations to Canadian Sailing Team athletes Robert Davis in laser and Sarah Douglas in radial for winning the spots for Pan-Ams this summer. You can check out the results at the link below. At the beginning of December, I trained and raced leading up to the District-13 championships. Unfortunately, I got sick on the second day and was hampered by a bad cold for the entire camp. This limited the amount of time I was able to function at a high capacity on the water but I made the most of it and had a really productive camp working on starting and boat-on-boat battles. For next time I know I need to be more diligent about protecting my health. Doing a 24-hour straight through drive (with someone still on antibiotics for pneumonia) followed by a hard double session in the gym and then on the bike on the first day took its toll. The racing was held out of St. Petersburg Yacht Club and we had a great steady breeze each day in the 10-14 knot range with no shifts. Strong downwind speed carried me to 3rd place however I definitely feel that I could have been more competitive had I been at full strength. I would like to wish everyone a happy new year and thank everyone for their continued support of me pursuing my dream. 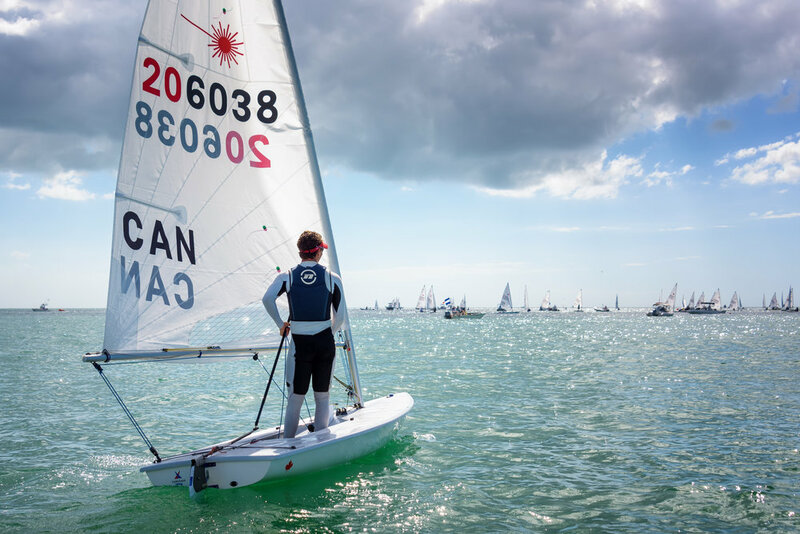 2019 marks a year of opportunity for me and it is beginning this January with the biggest regattas of my sailing career with Lauderdale OCR which serves as the 2019 Pan-Am Games country trial and Sailing World Cup Miami. Later in the year, I will be working towards the U-21 World Championships as this is my last year of eligibility and I hope to make my mark. If you don’t already subscribe to my quarterly updates hit the button below to get all the news. 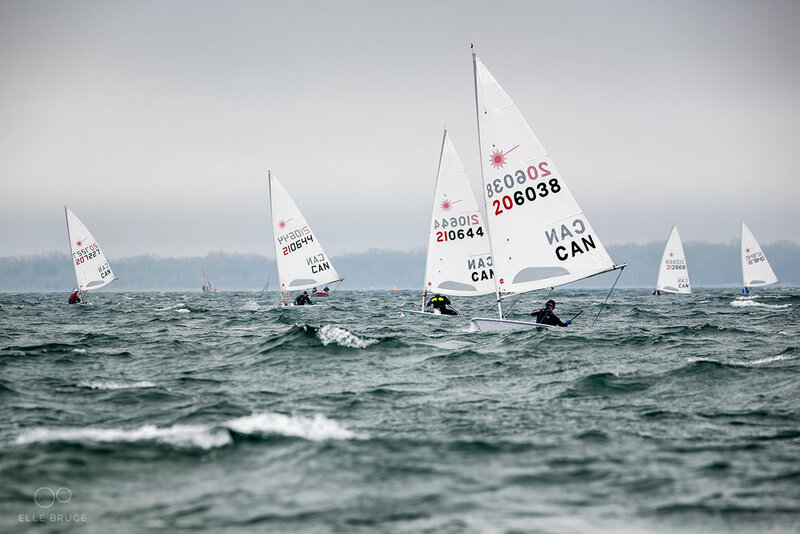 I have recently returned from a very beneficial trip to Europe for my peak event of the season Laser Under 21 Worlds. 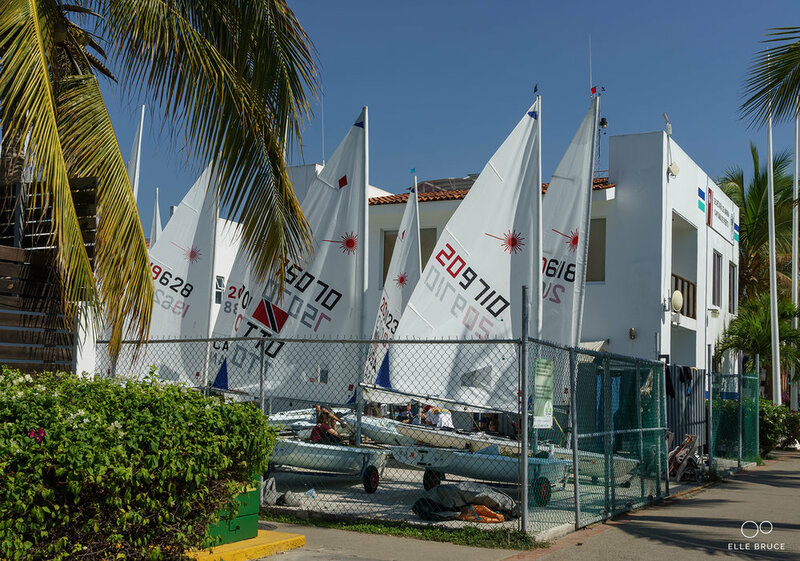 In the week leading up to the regatta, we trained in steady winds from the north ranging from 8 to 20 knots each day. This changed drastically for the event itself as the first 4 days consisted of shifty offshore conditions from the west. Only on the last 2 days did we see excellent conditions from the north. It was a challenging regatta, and after 6 days and 12 races, I finished 67th out of 133 boats. While not as good an overall result as I wanted, I was pleased to achieve a top 10 finish in the qualifiers, and I happily achieved the first part of my goal by making gold fleet. Once there I learned how small the margin for error was in a trying finals series. This event was a good experience and a significant first step on a long journey. 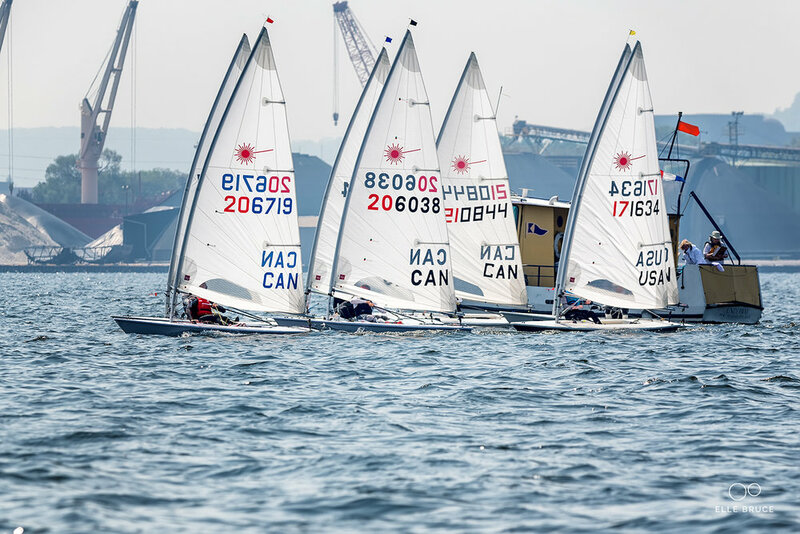 I look forward to returning to U21 ’s next year to improve on my first worlds in a laser standard. During the first weekend of December, I competed in the D13 Championships in Jensen Beach Florida. 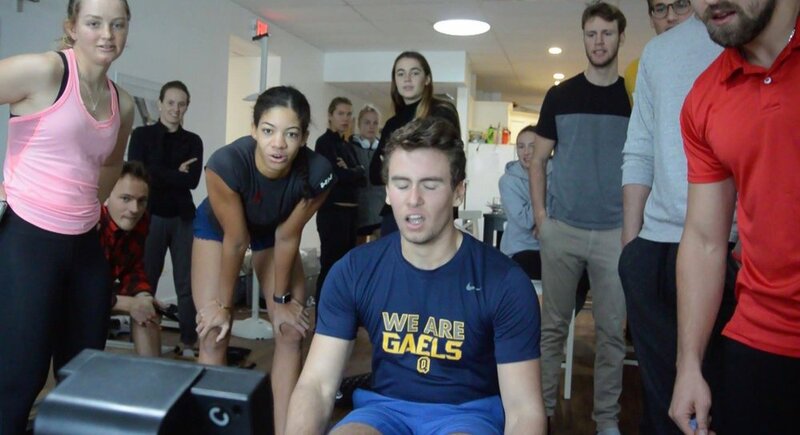 I arrived on Thursday and trained for two days with the Ontario Team and a good group of Canadians in excellent conditions. Just a few of the Ontario sailors! Sadly the wind didn’t hold up for the regatta, leaving us to compete for two days in lighter winds. The Race Committee managed four races the first day with winds from the east. Conditions were shifty and puffy with little visible differences on the water as the wind came directly off the Atlantic Ocean over a strip of land and down onto our course located on the Intercoastal Waterway. I had a series of very poor finishes leaving me in 19th after the first day out of 32. The second day brought wind from the north and more stable conditions. I had finishes of 7 and 3, allowing me to climb the standings to 12th. I’m happy with how the second day went and will take that confidence into my next event in January at the Lauderdale Yacht Club OCR.